Some of us will be able to pinpoint the start of our love for cars to one particular memory. Perhaps you were a whipper snapper, bright-eyed and admiring an elder’s car - it needn’t have been something exotic, either. Take the car that spurred on a passion for automobilia for PHer DickyC, the author of today’s Thread of the Day, for example. 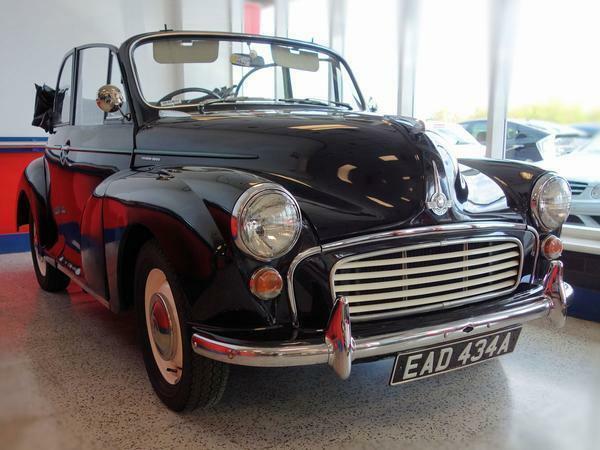 He remembers a discussion between his parents of whether or not to lower the fabric roof of their Morris Minor Convertible from when he was three or four years old. While it’s unlikely that this moment alone led DickyC on a path that would see him become a member of such an illustrious car community such as PH’s, his ability to recall something from such an early year of life suggests it played a part in stirring an interest in cars. PHers don’t always find their way here via such a smooth path, of course, like GT03ROB and TommyBuoy, who each remember throwing up in Vauxhalls – a Viva and a Calibra, respectively – as youngsters. But maybe they just didn’t like cars from the Luton car maker. Either way, they can now call themselves proper car people, despite the messy start.